Rival councillors have called for a rethink of plans to channel £50,000 into concerts at the Stadium of Light, including the Spice Girls. 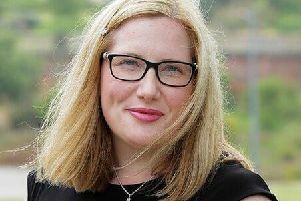 Last year, Sunderland Conservatives and Liberal Democrats hit out at plans to back the event which is set for June 6 this year. Now, a Lib Dem Freedom of Information Request (FOI) has revealed that other councils in cities hosting the group will not provide financial support. This includes Cardiff City Council, Bristol City Council and Coventry City Council. Sunderland City Council have previously said funds will be recouped through “service charges” including licensing applications and road closures, with funds channelled into marketing the city’s attractions in future. And Labour leaders have also claimed the concert will boost the city economy by £4million and establish Sunderland’s status as an ‘event city’. However, Lib Dems have slammed the move as a “vanity project” and argue the spending can’t be justified. Campaigner Heather Fagan, who submitted the FOI, said: “It’s ridiculous that the council is planning to subsidise the Spice Girls concert, when comparable areas are not doing so. Deputy leader of the Liberal Democrat and Others group, Stephen O’Brien added: “I’m as a big a fan of the Spice Girls as anyone, but this is ridiculous. “It beggars belief that the council should fritter money away on vanity projects like this. Leader of Sunderland City Council, Graeme Miller, has defended the move which. he argues, meets public demand for city concerts. “Residents love the idea of big concerts coming back to the Stadium of Light,” he said. “They now expect us to invest in this activity that continues to showcase Sunderland as a great event city. “A £4million return on a £50,000 investment seems like very good value to me as a return of £80 received for every £1 spent, going directly to our city businesses. “Maybe the Liberal Democrats would like to focus their attention on the slightly bigger figure of £293,200,000, this is the level of cuts to this council’s budget since 2010, when their government in coalition with the Tories imposed austerity politics on northern councils. “Maybe they would like to debate their involvement in the massive cuts to this city’s budget that they are a direct cause of, rather than this desperate attempt to deflect attention away from their terrible record in both local and national government. The Spice Girls gig at the home of the Black Cats in June will be the first gig at the stadium in three years. However, Victoria Beckham, aka ‘Posh Spice’ will not be joining her bandmates on stage as it’s believed she wants to focus on her fashion business. The 90s pop icons will also be supported by Jess Glynne, with more than 50,000 people expected to attend the Sunderland date.